Home > Pets > [Pet Lovers Centre Singapore] Purina is running a Dog dry food redemption programme! [Pet Lovers Centre Singapore] Purina is running a Dog dry food redemption programme! Purina is running a Dog dry food redemption programme! 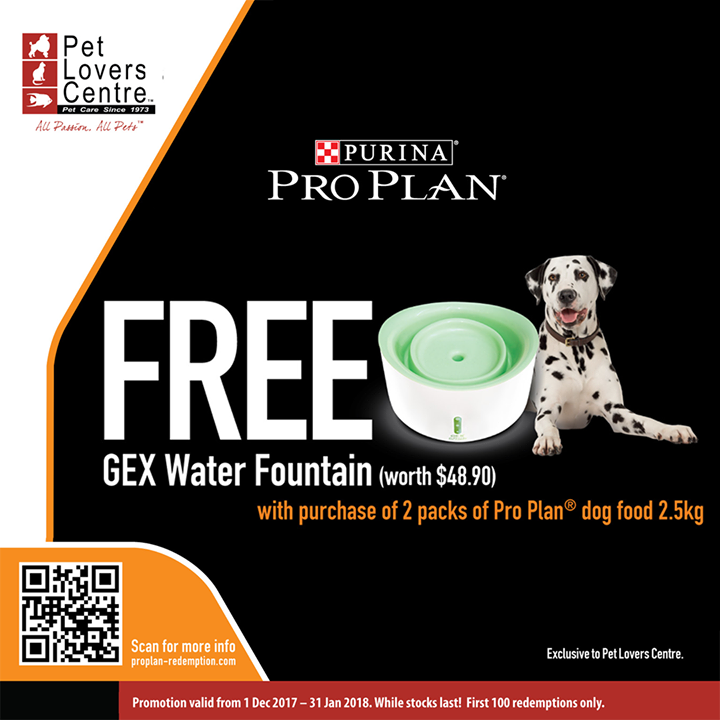 Purchase any 2pkts of Purina Dog dry food (2.5kg) and get a Gex Water fountain for FREE! - Please contact 6336 4688 or [email protected] for any enquiry. Previous: [PastaMania Singapore] Rejoice, Star Wars fans! Next: [Fave] Look pretty with these amazing offers!